The Senate is set to break with the administration’s support for the Saudi-led military campaign in Yemen on Wednesday, likely handing President Trump his second setback from Capitol Hill this week. “The resolution we will vote on in the Senate tomorrow to end US support for the Saudi-led war in Yemen is enormously important and historic. This war is both a humanitarian and a strategic disaster, and Congress has the opportunity to end it,” Sen. Bernie Sanders (I-Vt.) said in a statement. Three Senate aides said that they expect a resolution to come to the floor Wednesday that will call on Trump to withdraw any troops in or affecting Yemen within 30 days unless they are fighting al-Qaeda. The resolution would need only a simple majority to pass the Senate, which approved a similar resolution in December. The resolution would need to pass the House before heading to Trump’s desk, where he has said he would veto the measure. 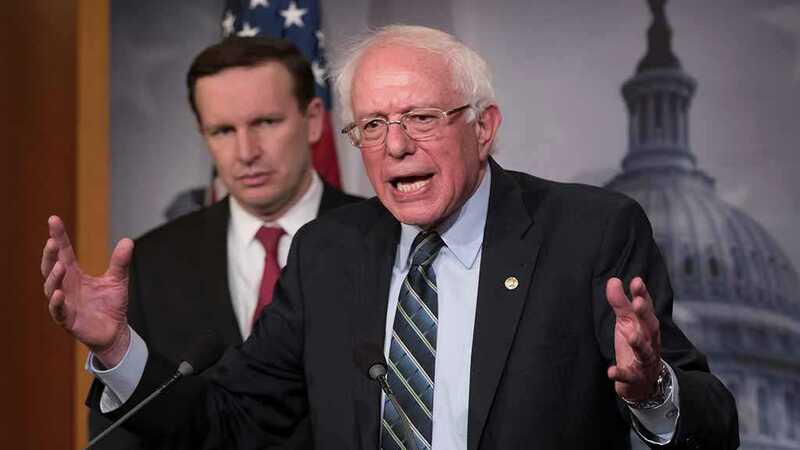 Sen. Chris Murphy (D-Conn.), one of the co-sponsors of the resolution, said that he expected the vote would be “tight” but predicted that supporters would again be able to pass the resolution, as reported by The Hill. The House passed its own Yemen resolution last month but it ran into a procedural roadblock in the Senate after the parliamentarian determined that it was not privileged, the status that lets supporters pass the measure with only a majority support in the Senate. Tensions over Saudi Arabia have been running high on Capitol Hill since last year’s slaying of US resident and Washington Post contributor Jamal Khashoggi, which opened up a gap between the administration and lawmakers on the issue. Members of the Trump administration briefed the Senate Foreign Relations Committee on Monday evening about an investigation, ordered by members of the panel last year, into Khashoggi’s murder. But Republicans on the committee appeared underwhelmed by the meeting, indicating that they didn’t learn new information.